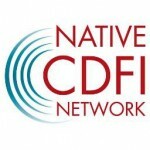 Upcoming Events - Northern Shores Community Development, Inc.
Northern Shores Community Development, Inc. (“NSCD”), will be hosting a training class for Native Artists. The class, Native Artist Professional Development Training, is geared to give Native artists the tools and support they need to manage small entrepreneurial businesses to achieve economic success. Our goal is to provide Native artist entrepreneurs and tradition bearers of tribal communities with the tools and resources that will allow them to do what they do best, to make art but also to make a living from their art. This program, designed by First Peoples Fund, sole purpose is to help artists sustain themselves, their families and their communities. This one-of-a-kind resource takes Native artists on a journey that begins by helping the artists express their values and vision that will ultimately become the principle foundation of their business. Upon completion of class, Artists will be eligible to apply for an Artisan loan through NSCD. Date, Time and location to be announced soon. If you are interested, please contact NSCD at (231)347-6753.